Craftster Community > CLOTHING > Clothing: Discussion and Questions (Moderator: meleriffic) > Wrap-Around Skirt Tutorial? You could be as hated as me if you only tried. and there are people who are rich. basically a wrap-around skirt is quite easy. You only need rectangle. The dimensions are 1,5*your girth(hip)and the lenght of the skirt. Now you hem three sides. 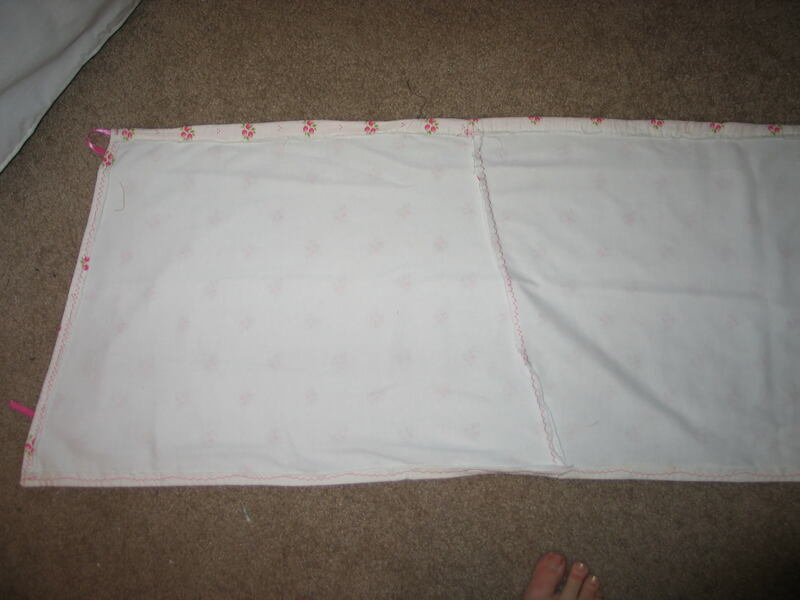 For the fourth side you can use the same fabric(you need a longer piece) and sew it to the side. This will also form the ribbon-thingy to close the skirt. I hope my bad description helped. If you still got a question, ask me. Thank you so much for replying. I do have one question. Will the skirt wrap around me funny since it's rectangle? Sorry if that's a silly question. 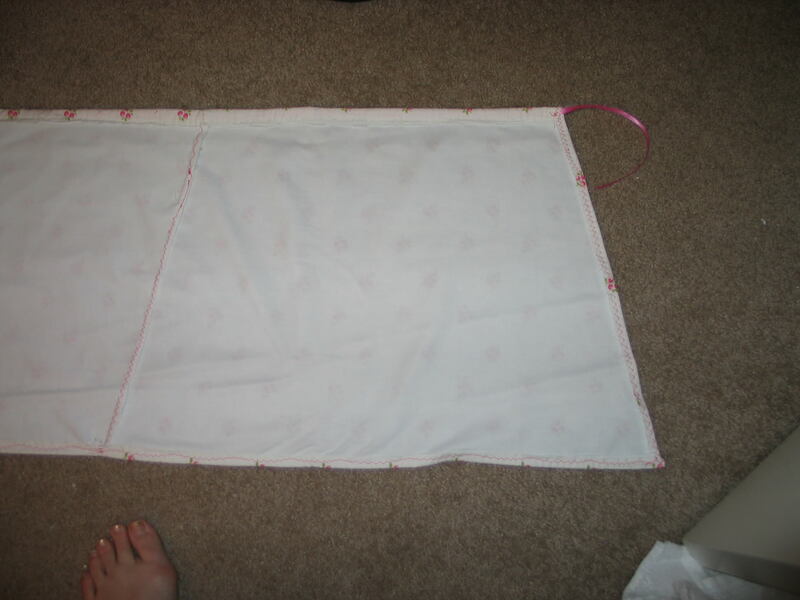 I'm quite the bigger at sewing and I need a simple project to get me started. Actually, it will wrap funny as a rectangle. 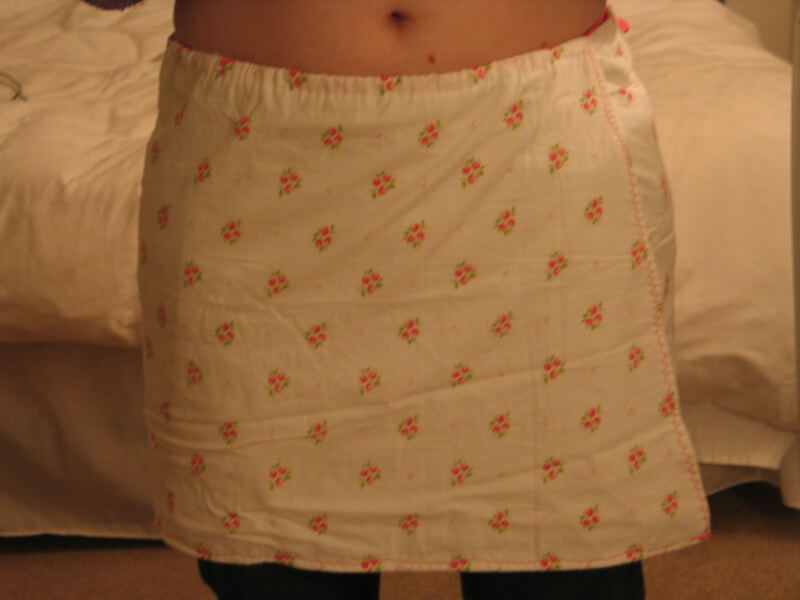 Years ago my mom showed me how to make a wrap around skirt without a pattern. I still have it... And it was super easy to make. Use a measuring tape to measure around your waist/hips where you want the skirt to hit. Figure out how big around your hip/waist is at that point, and then add half of the number to your measurement. So, if your measurement around the hip/waist is 36, add 18 to it, to get 54 (feel free to fudge around with the numbers a bit to make the part that wraps over wider or narrower, as you see fit.) Tack on another 3 inches for seam allowances (1/2 inch seam allowances). So, now you'd have 57. Decide how long you want your skirt to be, and then tack on another 1.5" for the top and the hem. Let's say we want it to be 18" long. So, our total measurement should be 19.5. You'll want to make three, equally sized trapezoids with 17 inches on the top, and 23" on the bottom (or whatever numbers you came up with). (Remember, you want the trapezoid to be symmetrical, so that if you folded it in half, the two non parallel sides would match... the easiest way to do it is to draw a rectangle on the newspaper that is 17" by 19.5" (or the shorter, top of the trapezoid, by the length of the piece). Then subtract the number for the shorter side of the trapezoid from the larger side (23-17=6). Extend the bottom part of the rectangle by 3 inches on either side (half of the difference between the top and the bottom). Then, draw an angled line connecting the end of the 17" line to the end of the 23" line, on both sides. You should now have a trapezoid that looks like the one in the link up above. Make three of these with the newspaper, that are all of equal size. Lay these out on your fabric, and cut the fabric out. You'll assemble the pieces so that all three are lined up next to each other, except the trapezoid in the middle will be upside down (so the longer end is on top, and shorter end on the bottom). You should find that this gives you a really, really long trapezoid. Next, stitch the pieces together, allowing a 1/2" seam allowance. Hem in the sides and bottom, again allowing 1/2" seam allowances. Now all you have left is the top. Hem over 1" of fabric, but make sure that you leave enough space to put a ribbon through, to tie it closed. Once the top is stitched down, thread a long piece of ribbon (2.5 times the width of the top of the skirt, at least) through the top hem. Wrap around your waist, and enjoy! Of course, you can adjust it however you like to suit your tastes. You can make it so that the end of your finished skirt has straight edges, instead of slanted ones. You can make it longer, or shorter. You can work it so it's wider at the bottom. 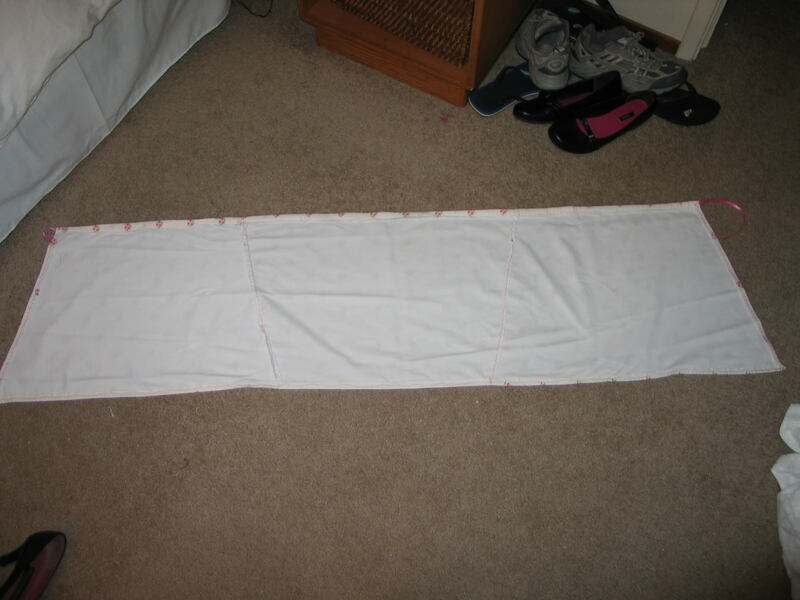 You can make it longer (try adding more trapezoids for a skirt that wraps around more than once). I hope this was clear. If you have any questions, feel free to ask. I haven't seen such clear instructions on wrap around skirts on this site until this one! You even put pictures! You've totally made my day. Now I can go home and start making some wrap skirts without wondering what the HECK I'm doing. Sorry for my excitement.. but I've wanted to make one of these forever! I used to have one made from corduroy and I absolutely loved it. I just couldn't find any patterns to match how it was made. Your instructions look identical to how my skirt was... except mine had big '70s pockets, which I think I can manage on. I'm glad they helped. I knew I was hanging onto that old skirt for something. I even made a halter top that matches, cutting it out of newspaper. Though, pulling it out has made me realize how far my sewing skills have come. I don't know what I was thinking when I stitched that thing together! Hehe. Well, I'm such a sewing beginner that any help is great. I thought a wrap around skirt would be an easy project to try. I've reconstructed a few things, jeans into skirts and changing the size of a few tops to make them fit, but I've never successfully made anything out of scratch. *Successfully* being a huge key word. I hope someday I can look at my old sewing projects and know that I've come a long way too. wow this is really cute! =) i think i'll make it! Hey! That's such a great tut on the wrap skirt front! Thanks so much!! I've seen some wrap skirts out there that say they have belt loops to hold the ties in place a little better- I think I understand how that works....but they also said that there was a button-hole in the waist band. How does that work!?! Where do you put the button hole? And does the tie go through this hole? What if two different people- with 2 different waist sizes- want to wear the same skirt? Does the button hole need to be in a different place? Or can you just put one on there and it would work for every size? Do you put more than one button hole on the waist? Like put them spaced evenly out over a few inches- like put 3 or 4 button holes for semi-customizable fit? Once upon a time, I had this lepard print skirt that tied on the side. It was my very, very ultra favorite skirt ever. Since then I have desperately wanted to recreate one. That skirt had an inside-out button. By that I mean the waist part closest to me had a buttonhole, and the waist part on the wrap-around had a button on the inside to go through. That way, the wrap around part didn't sag any on the inside and made sure that the skirt didn't just flap open. Plus, I am on the fluffy side to begin with, and I wanted full coverage on the front and the part where the skirt tied. :-) So, to recap, the skirt would wrap around and on the part where you would start to wrap, it had a buttonhole. Continue wrapping the skirt around, and the place where the fabric meets itself again, would be a button to the inside. That would hold the fabric in place, and then it continues wrapping to tie at the side. Wah-Lah. And I'm sure you could easily do 2-3 spaced buttons or hook/eye closures so that the waist could be shortened or expanded to a couple different sizes. In fact, you could do one of those slidey-hook closures (no clue what those are called LOL but they look like bent spatulas and a large flat hook) with one hook and a couple different slidey parts spaced evenly. On the other hand, I've also seen tie around skirts that did this whole process on the *outside* of the skirt. The inside shell of the skirt was just a plain A-line or straight skirt that closed in the front with a zipper. 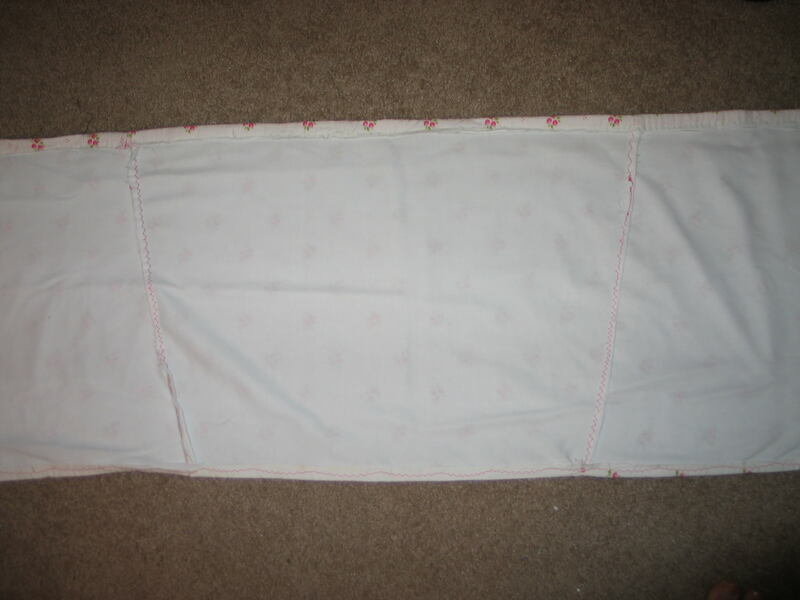 Then, on one of the side seams, a matching panel of fabric identical to the front, without a closure, is sewn on one side. on the unsewn side, you make the tie. On the side seam without the fabric panel, you attach the other part of your tie. The fabric panel ties to the other side, giving you a "faux" wrap around look. I had a skirt like this once and the fabric panel was supposed to sag a little like a sarong style. Anyway, I hope that helps. I am awful at describing things! "Everywhere Tails" pattern from Your Style Rocks?